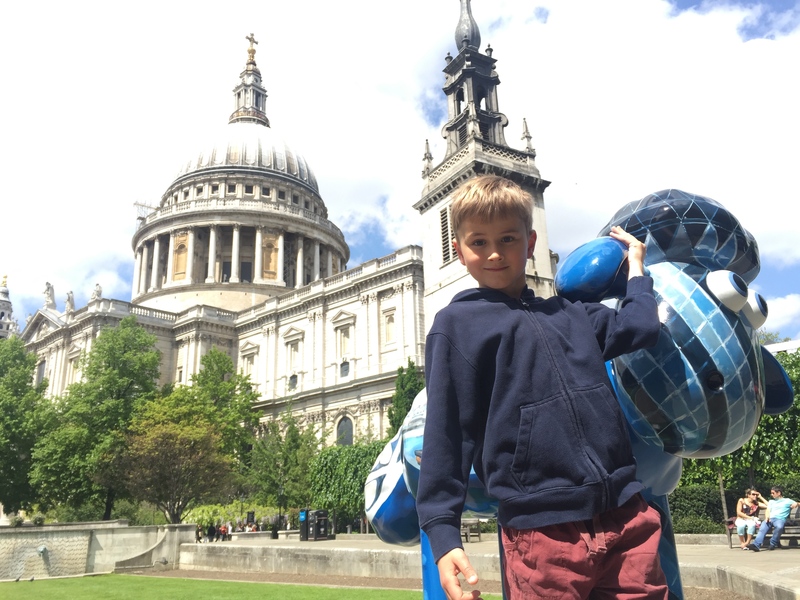 We had a terrific day in London yesterday on the trail of Shaun the Sheep. 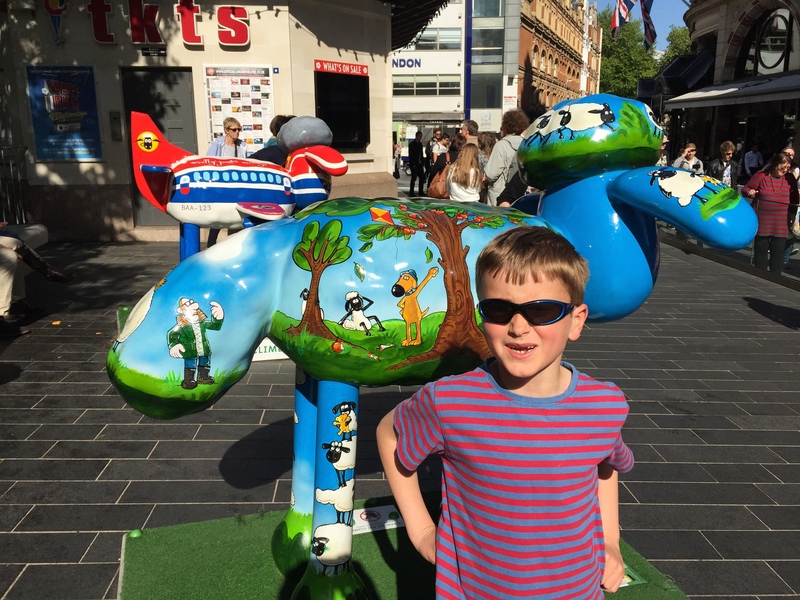 Shaun in the City has created 120 sheep sculptures celebrating the Aardman Animations character and raising money for children in hospitals. There’s a great app for Android and iPhone that helps you follow the four trails and tells you about each sculpture. They’re spread around the City, South Bank and West End, so you get a great tour of London as you tick off each sheep. We started at Barbican (should that be Baaaah-bican?) before trailing through the City, over the Millennium Bridge and on to the South Bank. (We needed a break – and highly recommend the PizzaExpress opposite the Royal Festival Hall.) We then headed via the BFI and Waterloo Bridge to Covent Garden and Leicester Square. A favourite was Ben and Holly’s Little Kingdom inside Hamley’s toy shop. We wondered if Gaston the ladybird would feature – and he did! The Shaun character first appeared in the 1995 short film, Wallace and Gromit: A Close Shave. Aardman’s previous Gromit trail raised £3.8 million for charity. The sculptures are in London until 31 May. They will then flock to Aardman’s home city of Bristol for the summer. 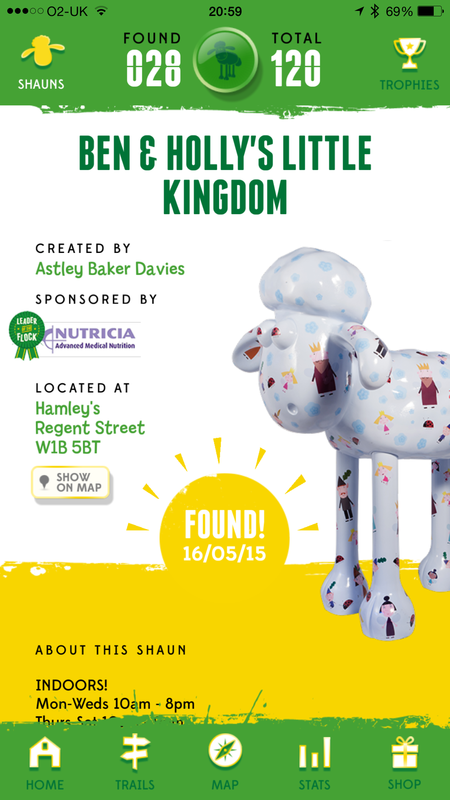 This entry was posted in London and tagged Aardman, Shaun in the City by Rob Skinner. Bookmark the permalink.